In dynamic spatio-temporal environments where objects may continuously move in space, maintaining consistent information about the location of objects and processing motion-specific queries is a challenging problem. 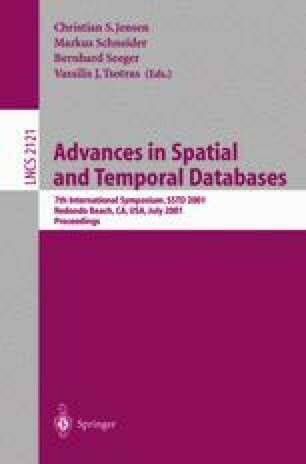 In this paper, we focus on indexing and query processing techniques for mobile objects. Specifically, we develop a classification of different types of selection queries that arise in mobile environments and explore efficient algorithms to evaluate them. Query processing algorithms are developed for both native space and parametric space indexing techniques. A performance study compares the two indexing strategies for different types of queries.